Somewhere in Iraq, the tomb raider Nick Morton (a never-ageing Tom Cruise) flies over the desert. This is where Egyptian queen Ahmanet lies in her tomb for eternity. Or so we thought. The plot of Alex Kurtzman’s latest Hollywood blockbuster, The Mummy, which cost US$125 million to make and was released on June 14, brings back a classic cinematographic and literary theme: mummies unleashed. In Kurtzman’s film, the desiccated queen, played by French-Algerian actress Sofia Boutella, is exotic, sensual and, in turn, monstrous. Enraged at her unearthing, she chases Morton and his cohort to the other side of the world with a millennium’s worth of pent-up resentment. Trailer for The Mummy, 2017. Kurtzman’s flick revives a long-standing franchise dating back to the 1930s, this time with the novel twist of a woman playing the role of desiccated protagonist. Generally telling tales of forbidden love, terrible curses, eroticism and death, mummy flicks have entertained generations of spectators. Why this fascination for Egyptian corpses? It all started in the 19th century. In 1822, the French scholar Jean-François Champollion, who’d been awed by Egypt since Napoleon Bonaparte’s 1798 military campaign there, cracked the mystery of Egyptian hieroglyphics, and the whole world became fascinated with this ancient north African civilisation. Ramses II, photographed in 1889. A few decades later, the Romance of the Mummy, by French novelist Théophile Gautier, associated for the first time eroticism and death in the form of the mummy. The 1857 book, in which archaeologists discover the body of Queen Tahoser (inspired by a real queen from the 12th century BC) – a magnificent young woman who also happens to be perfectly preserved – became an instant bestseller. By the 1880s, European archaeologists had discovered the mummies of pharaohs Ramses II, Ahmose and Thutmose III and their research had a huge following in Europe and North America, nourishing the West’s growing Egyptomania. The public was particularly fascinated by the sophisticated techniques used to preserve the ancient bodies. When the 3,000-year-old mummy of Pharaoh Seti I was discovered in 1881, it looked like he’d only just fallen asleep. 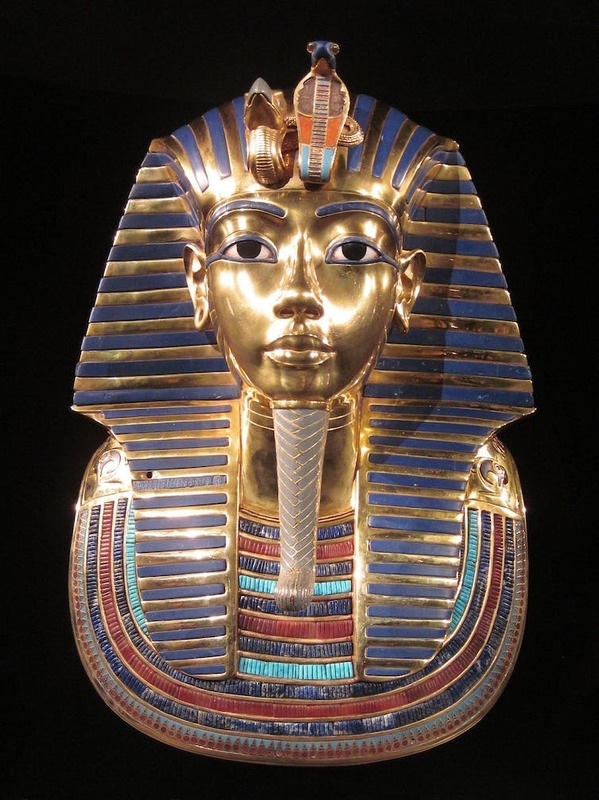 Tutankhamun has inspired many legends and cursed more than a few on-screen archaeologists. In 1892, best-selling author Sir Conan Doyle published Lot No. 249, in which a mummy bought at auction is revived by an Oxford student who then uses the creature as a weapon. This theme would go on to inspire horror films into the 20th century. Egyptomania reached its peak with the discovery of Tutankhamun’s tomb, in 1922, in the Valley of the Kings. When Lord Carnarvon, the wealthy British amateur Egyptologist who had funded the excavation of the tomb, died the following year, the Western press was quick to spread the rumour of a fatal curse that would kill all European archaeologists associated with the expedition. Meet with the kings at the Mummy Room in Cairo Museum in Egypt. Thus a legend was born. Films clearly engender and play on a fear of mummies and their ancient curses. But mummies also fascinate us, making us feel we can vanquish time by preserving the most perishable part of our bodies: the flesh. 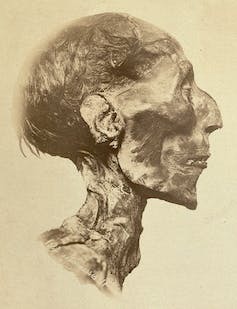 Ancient Egyptians developed the art of embalming cadavers to ensure eternal life, emptying the body of its viscera, removing the brain via the nostrils using bronze hooks, and placing the body in a bath of natron, a sodium carbonate mix, for approximately 40 days, which desiccated it completely. Only the heart, necessary for the deceased to be resurrected in the afterlife, was kept in its place. Is it any surprise, then, that other leaders with dreams of reigning eternal should want their bodies to be embalmed, too? When Alexander the Great died in 323 BC, his mummy was placed in a mausoleum at the centre of Alexandria, the city he founded, and worshipped. Luminaries such as Julius Caesar and Augustus visited to his tomb. The communist era also saw its share of mummifications too. Joseph Stalin and Chairman Mao were both embalmed, and Lenin’s mummy, on display in Moscow’s Red Square, is considered a sacred relic. A team of scientists maintains and retouches it so frequently that the 147-year-old leader actually seems to be getting younger. Lenin’s mummy, which has been kept in Red Square since 1924, is ‘freshened up’. All of this has proven irresistible for filmmakers. Unfortunately, the last copy of an 1899 French mummy film, Cleopatra’s Tomb, directed by Georges Méliès, disappeared in the 1930s. In 1932, Universal Pictures made the first major mummy film in cinematic history. Directed by Karl Freund, The Mummy features the inimitable Boris Karloff, who had played Mary Shelly’s Frankenstein the year before. 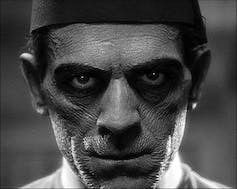 As the undead Im-Ho-Tep, Karloff’s make-up was inspired by the head of Pharaoh Seti I.
Boris Karloff, 1932 in The Mummy. 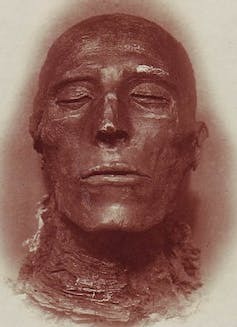 Head of pharaoh Seti I’s mummy, Cairo Museum. Universal would go on to produce another five mummy films between 1940 and 1955, including the slapstick Abbott and Costello meet the Mummy. In 1999, the studio produced a remake of their 1932 blockbuster, The Mummy, directed by Stephen Sommers, and released its sequel The Mummy Returns in 2001. Both were major hits. This, despite the fact that the plots rarely diverge from the obvious: illicit love between an Egyptian queen and a layman; an embalmed victim buried alive in a tomb for eternity, sometimes with beetles inside; a long awaited revenge. These horror films are often not B but Z movies, and apart for a few exceptions – Kurtzman’s latest attempt not among them – they generally receive bad press. Still, audience interest in macabre fantasies and thrillingly dark stories has not faded. Egyptomania remains very much alive on the big screen. Christian-Georges Schwentzel is the author of Cléopâtre, la déesse reine ( Payot).